The quality of food and medical packaging is directly related to human and animal health as well as environmental protection. Modern packaging methods protect the sterility of medical products, lengthen the shelf-life of food, simplify shipping, and prevent tampering and contamination. Two especially important aspects of packaging are shrink-wrapping and seam heating. Both require control of heat for consistency and heat-damage prevention. By using direct diode heating, manufacturers improve the production speed, safety, quality, and shelf-life of their products. The processing of semiconductor substrate materials is a critical element in manufacturing modern electronics. Semiconductor processing often requires heating the substrate material to prepare a surface, induce rapid thermal annealing, or dopants activation. For these applications, the diode laser is typically fixed in location so that it projects a pattern onto substrates as they travel past. Custom-designed direct diodes are helpful because they allow for greater control and flexibility in power, process speed, brightness, and exposure region. The precision and flexibility of direct diode heating systems is a huge advantage over competing methods in semiconductor coating applications. Get the full white paper on direct diode heating systems here! Used with permission from Fives Machining Systems. Carbon fiber has become an increasingly common production material because it can be shaped to create objects that are extremely light yet maintain high structural integrity. It is not easy, however, to join carbon-composite parts because carbon-composite cannot be welded like metals such as aluminum. Current methods include adhesives and mechanical connections such as screws and rivets, but both methods have significant liabilities in certain environmental situations. For adhesives, the variation in temperature and pressure during flight creates a risk of failure at carbon composite joints. In mechanical connections, water intrusion, fretting, and de-lamination can occur at drill sites, and different rates of thermal expansion between metal and carbon composite materials can create tension at these weak points. Direct diode heating can be used to improve the quality of carbon composite joints without environmental concern by creating uniform heating and minimizing "parasitic heating" in unwanted areas. Tip: By incorporating a non-contact thermal-sensor, it is possible to create a closed-loop heating system that uses heat measurements to control the diode emission power. 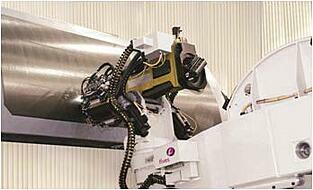 Heat treating and cladding applications often require compact, lightweight systems that allow mounting to mobile platforms such as robotic arms. Additionally, heating systems based on direct diodes are often chosen given their effectively low maintenance, decreased cost of ownership, improved processing speed and increased reliability. These four applications are common examples of how direct diode heating systems can be used as an advantage in modern manufacturing environments. The ability to control all exposure parameters of a diode heating system opens up entirely new capabilities and processes. Lasertel is a manufacturer of both VCSELs and edge-emitting diodes as well as custom micro-optics. Do you have a unique heating challenge that direct diode heating could address? 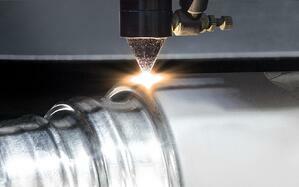 Give us a call to discuss how a custom laser system could help you improve efficiency, quality, and reduce cost. Direct Diode Heating: Shaped Light Delivery for Heating Applications.